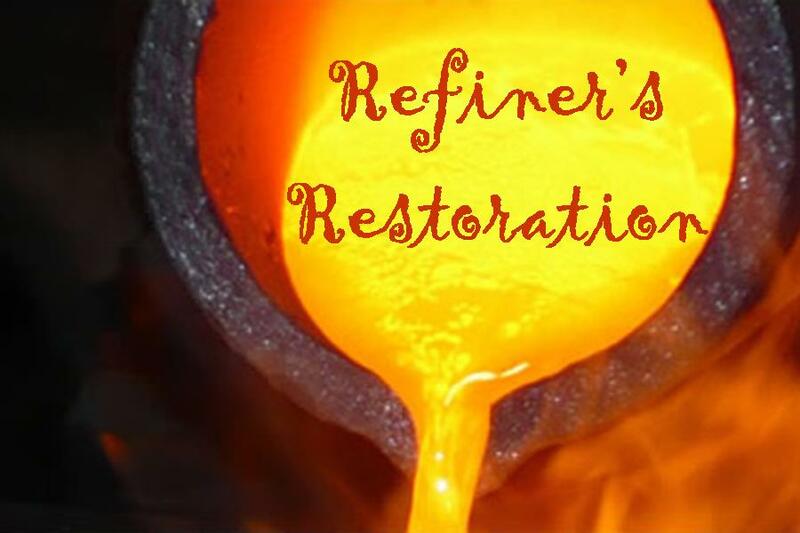 I love the analogy of the Refiner! It took me most of my life, a lot of heartache, and a ton of prayers to begin to see myself the way the Lord sees me. I, like most in this fallen world, grew up with the wrong thinking of what makes a person acceptable. There has been so much talk the past couple of decades about the “blame it on my childhood” syndrome that it’s become a crutch and excuse for everything wrong today. Blame-shifting does not heal. I believe while it is very true your past experiences can determine your outlook today (and need to be dealt with); your past experiences do not dictate who you are in Christ. You are responsible for you…and your worth is based on God’s opinion, not man’s opinion. When I stopped trying to live up to the world’s (family, church, friends) unattainable standards, and focused only on the things the Lord said about me (born again, new creature, accepted and restored), only then did I have the peace, security, and comfort only the Lord gives. A refiner will heat the gold or silver to a temperature so hot that all the impurities (past hurts, bitterness selfishness, envy, etc.) are burned away. The refiner only starts the cooling process when he is able to see His own reflection (forgiveness, peace, joy, etc.) in the liquid. You see, when the Lord refines us, he not only burns out the dirt in our life, he also changes our molecules, our core, and our thinking process. When we have been refined, we begin to see ourselves as the Lord does; beautiful, pure, and worthy of the sacrifice He gave long before we were born. I guess it takes being “refined” before we can fully appreciate just how much the Lord really does love us…and we can finally freely love. This entry was posted in Devotions & Proverbs & Psalms, Forgiveness & Justice & Love and tagged Christianity, father, Forgiveness, God, gold, inspiration, Lord, love, potter, potter's clay, refiner, Restoration. Bookmark the permalink.